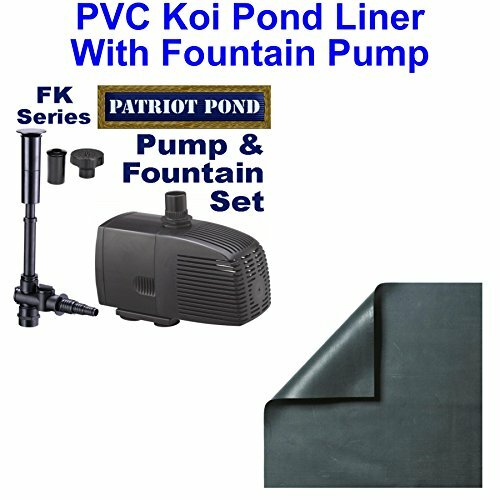 Patriot PVC Beginner Pond Combo 15x15 20 Mil PVC Liner with FK950 Fountain - PVCFKC3 | Fountain City Art Ctr. Eager to discover the joy of ponds, water gardens and fish keeping without locking into a high dollar investment? Our Beginner Fish Keeper kits are designed with you in mind. These kits all include an easy to use 20 mil PVC liner, and a decorative fountain with pump. Your choice of pumps and liner sizes. 20 mil PVC Pond Liner is an easy to use material that allows you to create simple or complex pond shapes to suit your design. We recommend you clean the area as best as possible and even buy underlayment if you can to help protect the liner.